A study day exploring the new light which recent research in archaeology, art-history, Old English poetry, and genealogy casts on the many unanswered questions raised by the Sutton Hoo ship-burial. 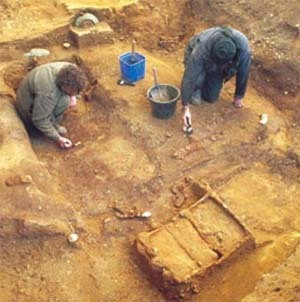 We shall spend the first part of the day looking at the recently excavated East Saxon royal burial from Prittlewell and considering how it might enhance our understanding of the archaeology of Sutton Hoo and the history and culture of eastern England during the early seventh century. After lunch we shall explore some of the significant artistic and genealogical parallels which suggest that the Wuffings had important continental connections. Of special interest are the apparent links with Goths and Langobards.